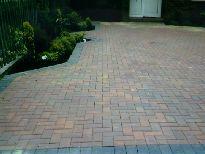 Block Paving is many peoples’ choice for a new driveway because it is attractive and hard-wearing. 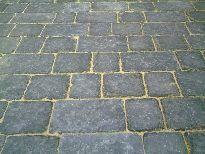 Additionally, block paving has the advantage that it can also be used for patios and paths. It is the finish of choice for most commercial and estate projects. We have found that the most popular choice of block paving for a driveway is probably Brindle Block with a Charcoal Block Border. Millstone Random and Tugula block paving are also popular choices. The block paving market is quite large, giving our customers a good selection of variations and colours to choose from. Driveway drains and manhole replacement frames are fully accommodated in our block paving work as well as any minor underground pipe work that may be required. Stone Valley always provides you with a written quotation that includes the full trade discount that we are able to obtain from our suppliers. 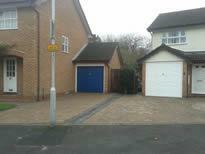 Our block paving photo gallery features just some of the many different driveways we have provided for our customers.